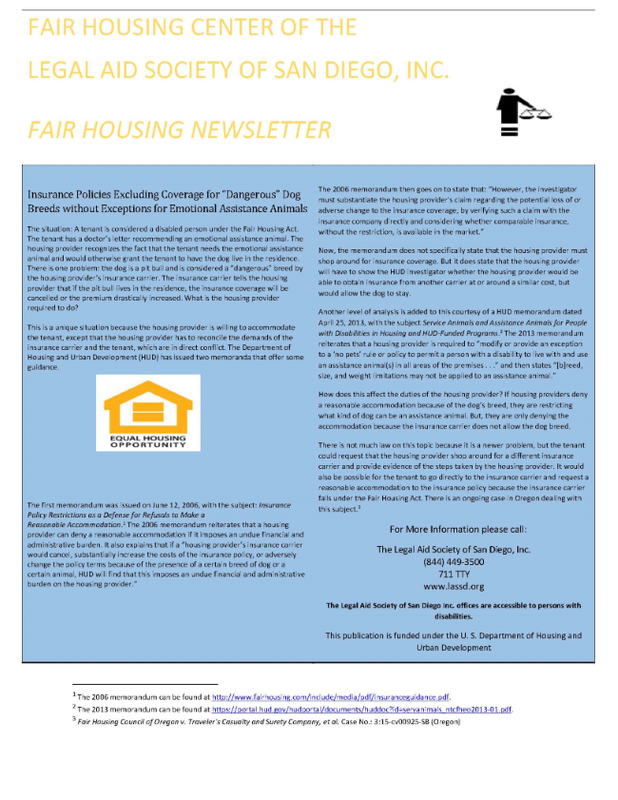 Alina Nunez, an advocate for the Fair Housing Team (part of Legal Aid Society of San Diego) recently contacted Dig Imperial Beach so we could share her valuable information! Their team helps those who are victims of discrimination within their dwelling; they are funded by the County of San Diego to provide Fair Housing Services in our community. They have submitted two of their newsletters for us to share with you. There are two different samples attached, both of them covers two different topics that people are being discriminated against for within the housing community. There is so much more that Fair Housing covers and there are many victims out there that haven’t realized that there are laws that can protect them. 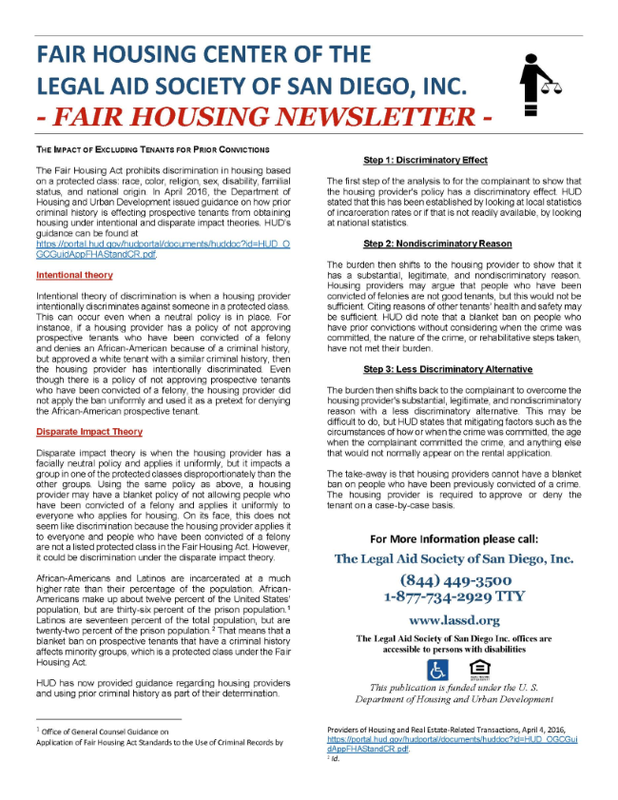 These newsletters are a way to inform the community that discrimination is still taking place and for them to know that we are here to help. I hope to hear from you soon. I can be reached through email as well as by phone at: (844)449-3500 ext. 2822. At the top is a downloadable copy if you should need assistance!